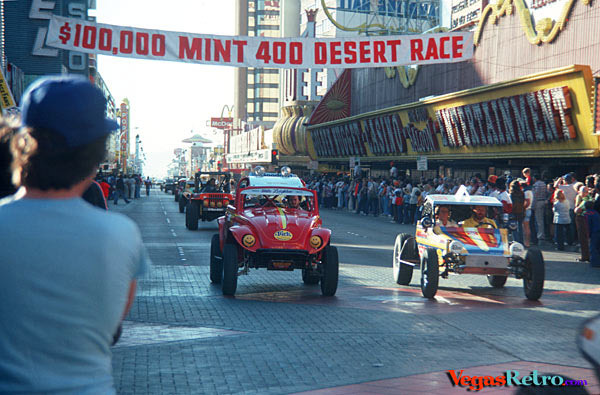 The Mint 400 race began with the cars and drivers gathering in downtown Las Vegas for a kind of parade to where the start/finish line was. Over the years the route that the race took changed, but the beginning was always downtown. R Scott Hooper photo taken in 1980. Check out photos of the Mint 400 girls over the years.